Custom Carpentry is one of Abel Complete Constructions signature services. Custom Carpentry in your home or business is a decorating enhancement that really adds an extra level of class and personalization to your home, and a true craftsman always loves to be able to work on custom wood carpentry projects that will be showcased and enjoyed by your family, friends or customers for many years to come. 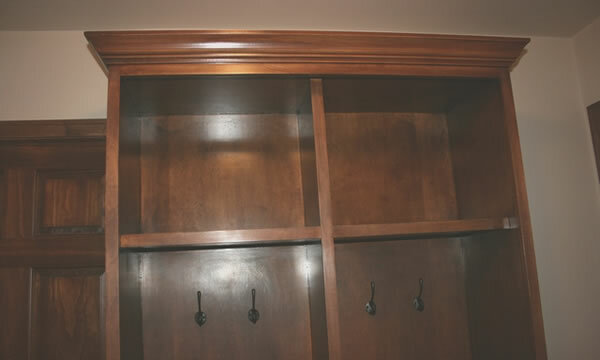 Custom Carpentry is a great way to get the features you’ve always wanted to have in your home but could never find exactly what you needed in stores, or anyone who could provide it for you. Maybe it’s that custom book shelve you’ve always wanted or a special closest organizer. Maybe you’d like a custom bar for your basement or some custom wood archways in your home. The list is endless and Abel Complete Construction can build you almost anything you’d like for your home or business.